The majority of businesses today use some form of Microsoft software, whether it is in differing versions of the Windows operating system or MS’ highly popular Office suite. 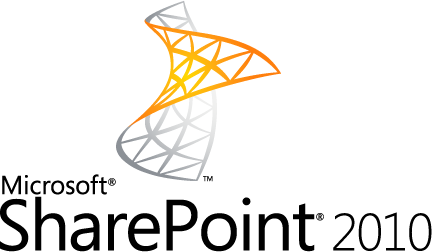 In 2003, Microsoft introduced a new dimension to business intelligence and created the first SharePoint software. SharePoint, in essence, offers a single place for document and web management systems, allowing multiple workers to pursue different tasks, at the same time from one interface, instead of using multiple interfaces to accomplish the same workload. Along with the changes to Office in 2007, SharePoint also changed some of its features, implementing a new ribbon style interface that would help catalog often used features, such as reviewing, spell check and media inserts, into easily accessible groups. In the newest version of the SharePoint Foundation 2010, some of the features remained the same, while others were greatly enhanced. In terms of the collaboration efforts of workers, the 2010 version again enhances this process by not only allowing the interface to be multilingual (before it was just local language), but also allowing for multiple languages to be displayed and used on the ribbon, and adding the ability to change back and forth. There was also the addition of MySites, Profiles, and Communities which give workers better ways to collaborate both in and out of the office. One of the best features is the ability to access SharePoint through the internet, with an online interface which employees can access no matter where they are. This was actually a move to place familiar and popular Office applications, like Word, Excel, and PowerPoint, on the web, so that no matter what version you are using, or what location you're in, you still have access to these files. SharePoint 2010 creates easier access and integration for all of its applications for work and sharing. The user interface for 2010 does keep some of the elements from the 2007 version, but adds more functionality. Lists, for example, now have an overlay popup when displayed, as well as generating custom error pages. The Content Management feature now brings the enterprise portion to more people within an organization. A major feature of this version is the ability to use management capabilities on any site within SharePoint 2010; in the previous version, these were locked to a specific site in SharePoint. There is also the ability to group multiple items into one atomic product. Using either SharePoint 2010 for Enterprise businesses or that of the smaller SharePoint Foundation 2010 can give businesses an edge over their competitors by keeping their project groups on task and working together.